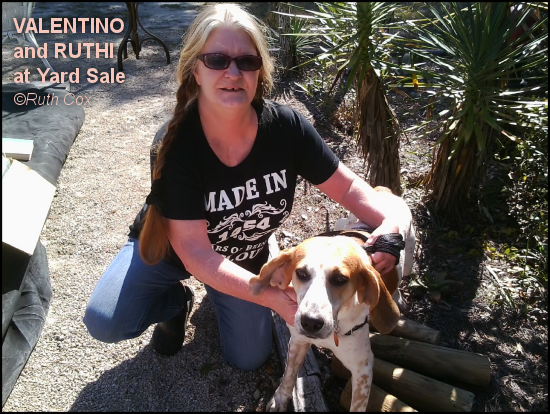 It is such a beautiful cool but sunny Saturday here in the Florida Panhandle, so my dog Valentino and I decided we would soak up the sunshine while taking a neighborhood walk or two. 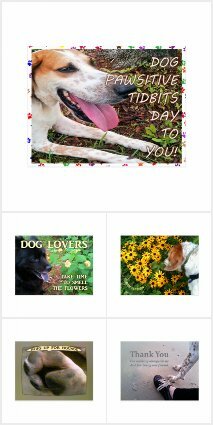 We started our day off with our usual potty routine, then we began chasing butterflies in our and the neighbor's back yard. She has Lantana bushes in full bloom now, enticing the butterflies. 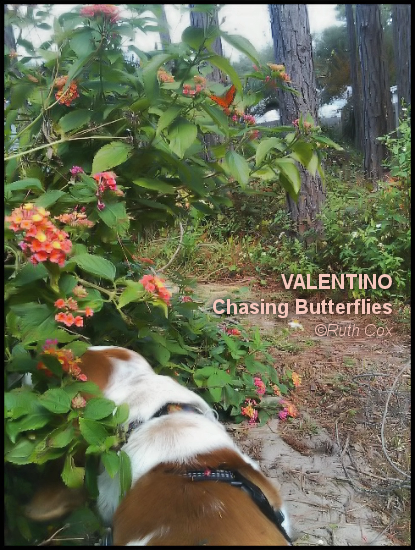 Sure enough, Valentino chased most of the butterflies out of cell phone camera reach but I did manage to catch a Gulf Fritillary Butterfly upon a flower up high while my dog had his nose sniffing the base of the Lantana. Nice catch, but it's the elusive Zebra Longwing Butterfly that I'm always hoping to catch in the chase. We went back inside to rest up for the next walk, which was to a neighborhood yard sale. We sniffed the neighbor's wares and chatted with others looking for bargains on the tables. What fun that we met Vicki, whose other half manages the Lanark Village By The Sea Facebook page, and we'll make sure she sees our blog posts of our neighborhood wanderings from now on. Her friend, such a nice lady, even took our picture for us! 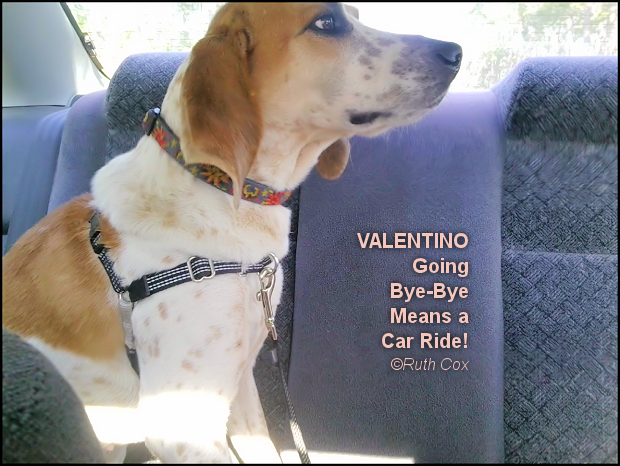 Now we're back home, Valentino resting and me blogging. But, we're not done with gallivanting. This afternoon we are headed to the fall festival in Carrabelle at the Senior Center. More about that trip later--I'm goin' bye-bye! 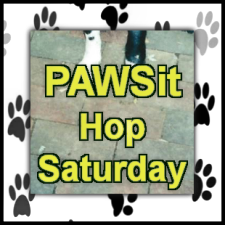 In the meantime, we invite you to pause for a bit, sit down and blog about a walk with your dog, and then add your blog link to this week's PAWSit Hop Saturday!